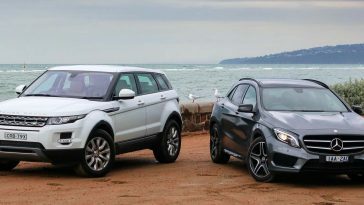 Which car is Best, Manual or Automatic? The answer of manual or automatic transmission which is fuel efficient depends on the innovation being done in the industry. The invention of the cars was truly daunting and extremely impressive step in the history of mankind and helped people cover distances of days and months in minutes and hours. The cars advanced over time, from smaller engines to bigger ones which were more fuel efficient and faster and also added in the luxury and comfort by running smoothly over the roads. In the 21st century, where the man is progressing by leaps and bounds and new inventions are being made each minute of every day, the cars have also revolutionized and have been modified and altered from top to bottom. In the modern day, we have specifically two types of transmission in cars that are manual or automatic. Both transmissions, that is manual or automatic, have their own perks and pros and cons. Before considering that which transmission is best in a car, the details of both the transmissions that are manual or automatic will be discussed in detail below. An automatic transmission, also known as auto or self-shifting transmission, is that sort of transmission in vehicles operated via motors, that can automatically change gear ratios, forward or backward, depending on the speed of the vehicle, as the vehicle moves faster the shifts the gear to a higher one than the previous one, giving the driver the advantage of not shifting the gears manually. The automatic transmission allows an internal combustion engine, such an engine is best suited to perform at extremely high rotational speed so that it can provide a range of high speed and torque outputs while the engine of the vehicle is running. 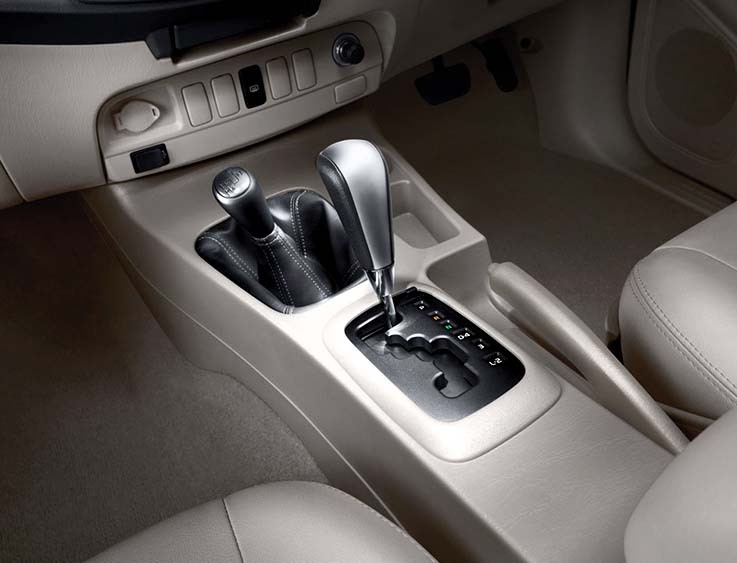 The prominent form found in automobiles and vehicles is the hydraulic automatic transmission. This system uses a fluid coupling instead of using a friction clutch and achieves gear changes by hydraulically locking/unlocking a system of planetary gears. The systems mentioned have a defined and compact set of gear ranges, often with a parking pawl which locks the gears and prevents the car from moving in the backward or forward direction. 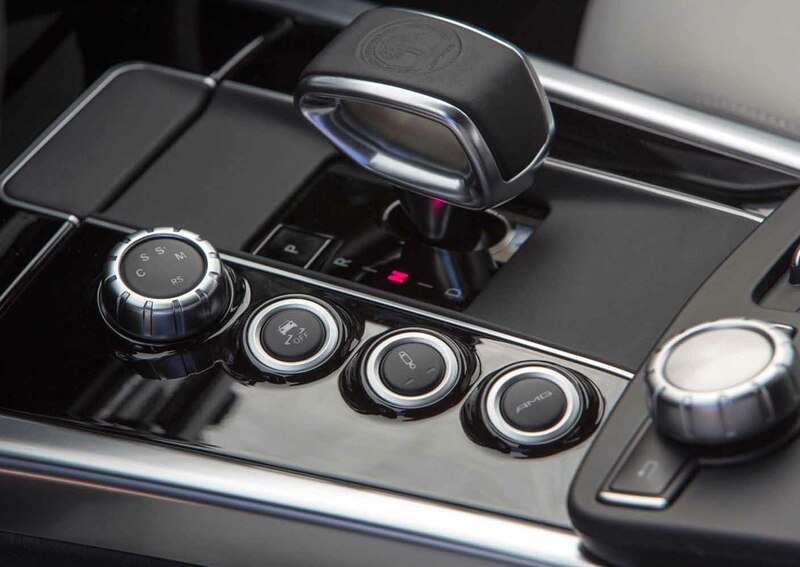 For simple understanding, in an automatic transmission, the driver gets the advantage of automatic gear shifting and doesn’t have to engage or disengage the clutch again and again or the gear stick to shift the gear backward or forward with the of accelerating the vehicle. 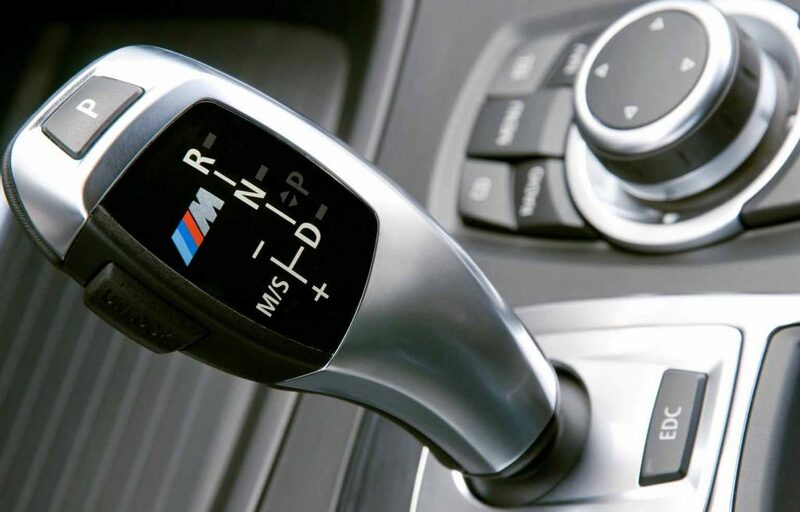 What is a Manual Transmission? 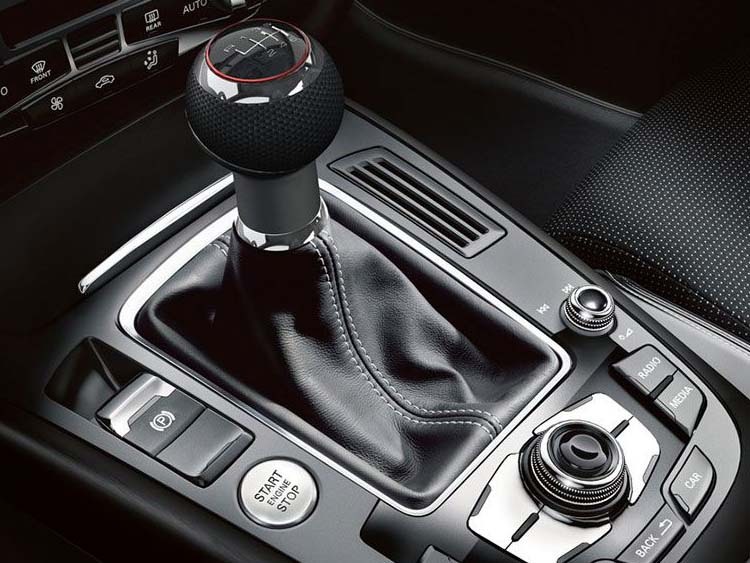 A manual transmission (also called as a manual gearbox or also as standard transmission in some countries) is that type of transmission used in motor-operated vehicles. It uses a clutch, operated by the driver, mechanically connected by a foot pedal or a hand lever in some cases, for purpose of transferring torque from the engine to the transmission; and furthermore, this transmission consists of a gear selector that can be operated by hand or foot and is a very major part of this transmission. In comparison of manual or automatic transmission which is fuel efficient, we must know that in a manual transmission the flywheel is attached to the engine’s crankshaft and the flywheel spins along with it. The clutch disk that is in between the pressure plate and the flywheel, is held against the flywheel under the pressure from the pressure plate. While the engine of the vehicle is running, and the clutch is being engaged by the driver, the flywheel rotates the clutch plate along with the transmission. As the clutch pedal is pressed against, the throw out bearing gets activated, causing the pressure plate to stop applying pressure to the clutch disk. This limits the clutch plate from receiving power from the engine so that the gear can be changed forward or backward without damaging the transmission. When the clutch pedal is not depressed, the throw out bearing is not activated, and the clutch disk again gets held against the flywheel, allowing it to initiate reception of power from the engine. For simple understanding, in a manual transmission vehicle, the driver engages the clutch by pressing it downwards in depressed position and applies the gear with the help of the movable gear stick (the gear stick can be operated via hand or foot depending upon the vehicle), along with this the acceleration of the car has to be managed in accordance with the gear, the higher the forward gear, more the acceleration will be required and vice versa. Since the details and functioning of both the transmissions have been discussed, now it is necessary to mention their pros and cons too so that one can get fully acquainted with both the transmissions because one plus point of one transmission could be disastrous for the other. • Firstly, one should consider fuel efficiency. In this regard some people would say that the manual cars are more efficient than the automatic ones, well this might have been true many years back but now the automatic cars are way more advanced and now have additional gears (for example, 8-speed transmissions) and so it can be said that the automatic cars have surpassed the manual cars in terms of fuel efficiency but a manual transmission car can be fuel efficient too if it is driven carefully and if it is properly maintained and taken care of. • Secondly while checking for manual or automatic transmission which is fuel efficient, one should consider the price of the car. In most cases, the manual cars are cheaper than their counterpart version automatic car. So, most people with a little less budget would opt for the manual cars as compared to the automatic cars but now with the advancement in the automobiles industry, the automatic cars are also not very expensive but are affordable for the common people. One might consider that which transmission is reliable, the automatic one or the manual one? Well, the reliability totally depends on how the driver treats the vehicle. If the vehicle is properly maintained and taken care of, both the transmissions can be reliable. But different reports suggest that the manual cars need maintenance from time to time because their clutch is being engaged from time to time as compared to an automatic car, in which the car automatically shifts gear. But one thing is to be remembered here, the maintenance of the manual cars is mostly cheaper as compared to the automatic ones because the automatic transmission consists of a way more complex and defined mechanism as compared to the manual, so it costs more to be maintained. • Another thing to be considered is theft. 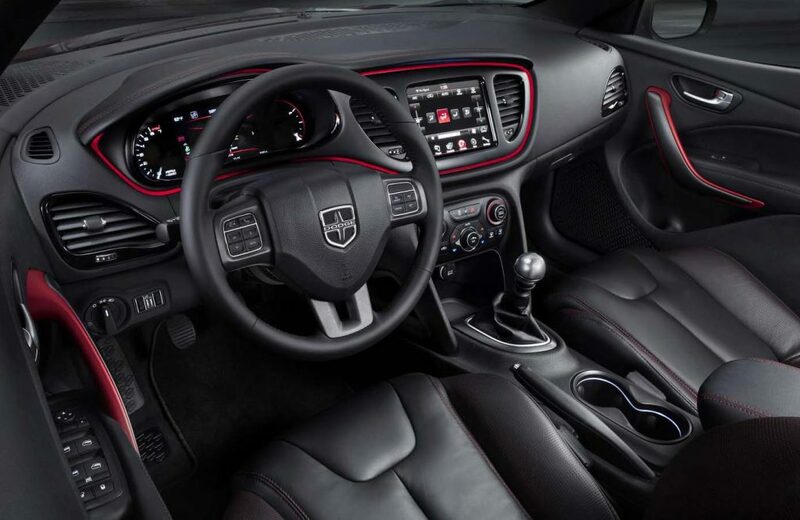 In the first world countries, where all the cars on the road are mostly automatic transmission in this modern era and the manual transmission cars are rare. So, there is a fair chance that in a case of a robbery, the robber may most probably head for the automatic one rather than the manual one. • The final point is of comfort and luxury. Well, according to some drivers they tend to fall asleep in an automatic transmission car on a long route which is a very major drawback whereas, in manual transmission car, the driver is constantly engaged with the car while shifting gears and all. But on a shorter route, the automatic transmission cars, with no doubt, provide more comfort.